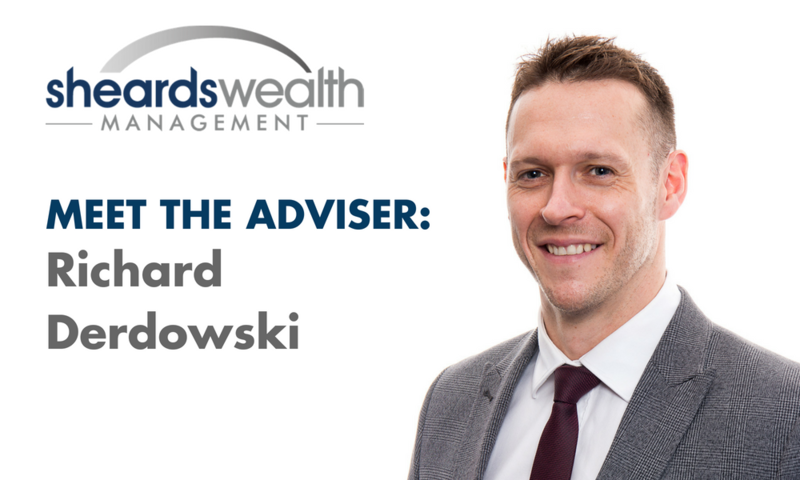 Following on from our interview with Mark, this week is the turn of Independent Financial Adviser, Richard Derdowski. Richard joined the team at Sheards Wealth Management in October 2016 with 12 years’ experience in the financial services industry. With his feet now firmly under the table, we asked Richard all about his path that led him here. Tell us about your background and how you got into financial services? My journey to becoming an IFA might not be a straightforward as some of the other members of the team. I actually did a degree in Sports! Once I graduated, I took off to Australia to travel for 12 months – the usual story really. On my return, I got a job at SimlyBiz in their telesales and marketing department in 2004 – this was my first experience of the financial services sector and I was soon promoted to Business Development Manager. It was then that I saw the opportunity to train up as an Independent Financial Adviser so I knuckled down and completed my Professional Financial Planning Diploma in 2012. It was after that, that SimplyBiz set up a subsidiary; Sandringham Financial Partners. I supported the firm in getting off the ground, which went on to become the fastest growing firm within its sector. I made the decision to move to Sheards Wealth Management as I was looking for a local firm that had a great back office team to support and help me build a profitable client bank. It was important to me to find a firm that was progressive enough to embrace the use of modern technology to enhance rather than replace the client proposition, in particular, the use of cash flow modelling. Mark provided the right balance between giving me the help I needed and letting me find my own feet. What skills and experience have you developed? 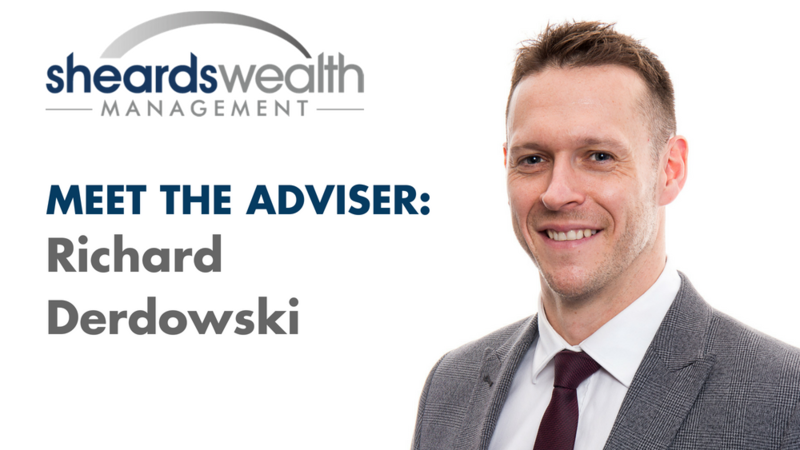 My previous roles have given me invaluable experience in all aspects of financial planning, especially retirement planning, which is indicative to the work I do at Sheards Wealth Management. I have also learnt the ropes and processes for lifestyle financial planning – again this is a key part of my role now. I’m passionate about helping my clients and delivering an exceptional level of service. Relationship building and communication is something I’ve developed over time, since my roles as a Business Development Manager. A good IFA understands that relationships are the key to success, and I have always lived by this. Can you give an example of a client that’s had a great experience? As I mentioned, building relationships with clients is pivotal to the work of an IFA. I began working with a client in January 2017, he came to us at a time when he was winding down his business. He had workplace pension schemes that needed looking at and all the other work that comes alongside stepping down from a business. During this time, we built a great relationship and due to the great service we delivered for the business, he then decided to bring all of his personal financial planning requirements to us. He fully retired, and I now support him with all aspects of personal financial planning from inheritance to estate planning. It might surprise people to know, but in my spare time, I’m a competitive swimmer, competing at a national level. I started swimming as a kid and was a national swimmer at junior level by the time I was 11. I competed at this level until the age of 17, at which point the demands became too much, and was distracted by the usual things that appeal to someone in their late teens! I then took it back up again around 3 years ago – I train 4 to 5 times a week at the Stadium and Leisure Centre in Huddersfield. I compete all over the UK – I have the Yorkshire Masters Championships coming up at the end of May and the National Masters Championships in October. Finally, what do you love about Huddersfield? Well, you can’t really class it as Huddersfield – more like Kirklees. But the thing I love the most is the views over Holme Moss. We are so lucky to have such an incredible landscape in Yorkshire and the rolling hills and stunning scenery at Holme Moss is by far my favourite place.